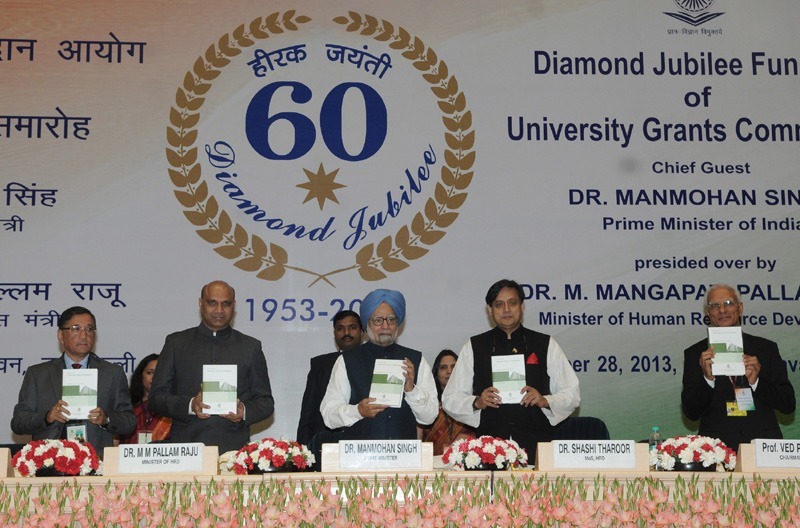 Enumerating the challenges in the Higher Education , the Prime Minister who was himself the Chairman of the UGC in 1991, Dr. Singh said quality in general remains a huge concern that even our premier institutions do not figure among the best in the world. Shortage of Faculty and promotion of Research , Strengthening of the university -industry interface and higher allocation of resources are the areas which require attention. The Prime Minister also announced instituting awards in the name of Pandit Jawahar Lal Nehru for individual excellence in the areas of Science, Humanities and Social Sciences, Technology, Fine Arts and Culture. Speaking on the occasion the HRD Minister, Dr. M. M. Pallam Raju said that UGC will launch Chair in the name of the Indian Nobel Lauerates including in the name of C.V. Raman, Rabindra Nath Tagore, Mother Teresa. He said the government has focused on access. for the weaker sections of the society and the minorities by giving scholarships and equal opportunities. He said that the government is keen to promote Research and more funds are being earmarked for them. Dr.Raju informed that the government is keen to give more autonomy to universities. The Chairman of the UGC, Dr. Ved Prakash said the Commission has been given the additional charge of Distance Education. It is also taking several steps to ease the constraints caused by the paucity of quality faculty by engaging Recharge Programs and appointing contractual faculty.